Hiring a new employee can be extremely time consuming. It can be very complicated when you are trying to find a person that fits exactly what you are looking for in regards to personality, education, and experience. For employers looking to hire employees for skilled positions in the United States and Canada, there are now better options to more effectively reach the right applicants faster. In the past, employers may have thought they were limited to posting on sites like indeed or monster. Thankfully finding specialized skill sets or degrees is now much easier considering employers can post their job listings with well known publications and job boards that attract educated and a highly skilled audience. For highly advanced degrees or specialist positions the best place to post a job opening is directly with the association or publication that caters directly to that niche or profession. Publications like JADA that are the official publication of the American Dental Association offer recruitment advertising for all professions in the dental industry. Recruitment advertising can run in the printed magazine as well as online in their official career center. Similarly Doctors and those in the medical profession also have these type of publications. Medical publications like Family Medicine and the Annals of Family Medicine for educators that allow those people in medical professions to advertise to those in that industry. Placing recruitment advertising in these publications and on their online career centers gives employers a reputable way to find people with the exact qualifications they are looking for. 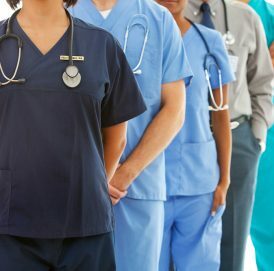 For Employers that are looking to target or include Canada in their hiring process they can utilize canadian job boards like NursingCareersCanada and RNCareers are valuable resources. Nationwide publications that attract an educated and business mindset are the perfect place for employers to place ads for highly skilled , or educated positions. USA Today and Washington post both have career centers that allow employers to place ads both in print and online which allows employers more effective ways to hire for skilled positions from a variety of industries and degrees. The Washington Post National National Jobs has a existing resume database and filters that allow employers to begin reviewing and begin to review ideal applicants right away. For Employers that are looking to target or include Canada in their hiring process they can utilize canadian job boards like JobConnect, that specializes in helping employers fill positions specifically for jobs in the engineering industry. Similarly RealCareers is another job board that allows employers to reach those in the real estate industry. For those in Advertising in Marketing Marketing-Jobs.ca allows employers and marketers a reputable place to post their open marketing positions. IICCareerConnections is a job board that specifically targets Job seekers in the Insurance industry. This site provides valuable career and education resources to encourage students and career opportunist to pursue one of the many skilled professions available in this growing industry.